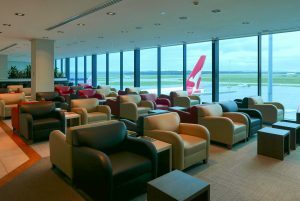 This guide shows you how you can use your Asia Miles or Qantas Points to get there with only one stop. 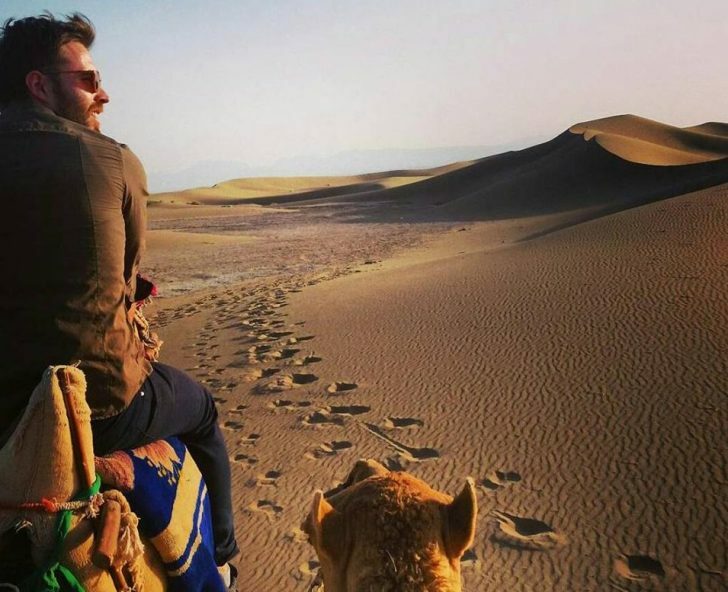 Tehran is Iran’s largest airport, with direct Emirates and Qatar Airways connections from Dubai, Abu Dhabi and Doha, respectively (none of the reputable full-service Asian airlines such as Singapore Airlines, Cathay Pacific or Japan Airlines fly to Iran, so the big three Gulf carriers are the way to go). 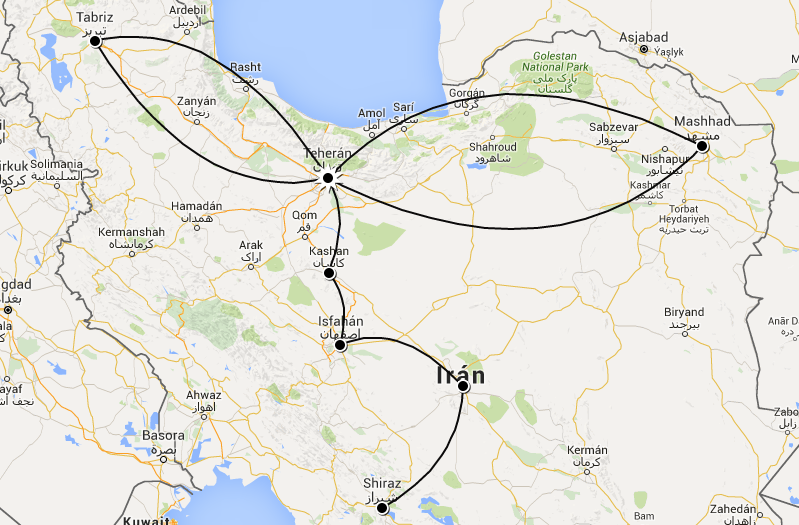 The map below also shows legs to two other tourist centres in the north, Tabriz and Mashhad, which are reachable by train from Tehran. 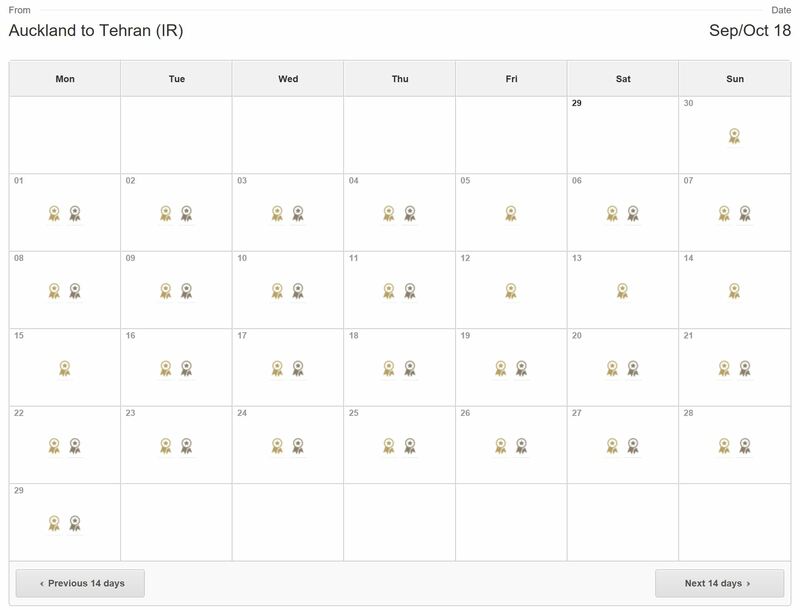 Asia Miles offer the lowest-priced redemptions, and they especially shine for their reduced roundtrip awards. Flying from Auckland will set you back 55,000 one-way / 90,000 return in Economy, or 85,000 one-way / 145,000 return in Business. 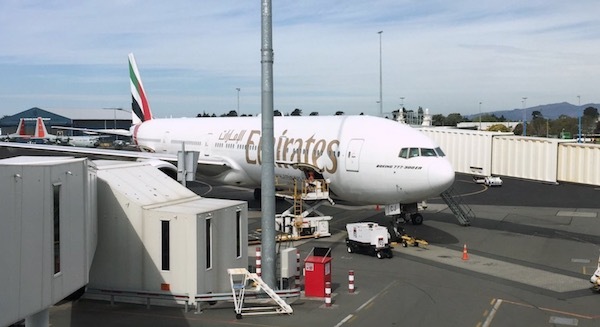 Your flight from Auckland to Doha will be on a Boeing 777. Flying one-way from Auckland or Christchurch will set you back 55,000 Qantas Points in Economy, 112,000 in Business, or 168,000 in First. Simply double these figures for the return flight cost. 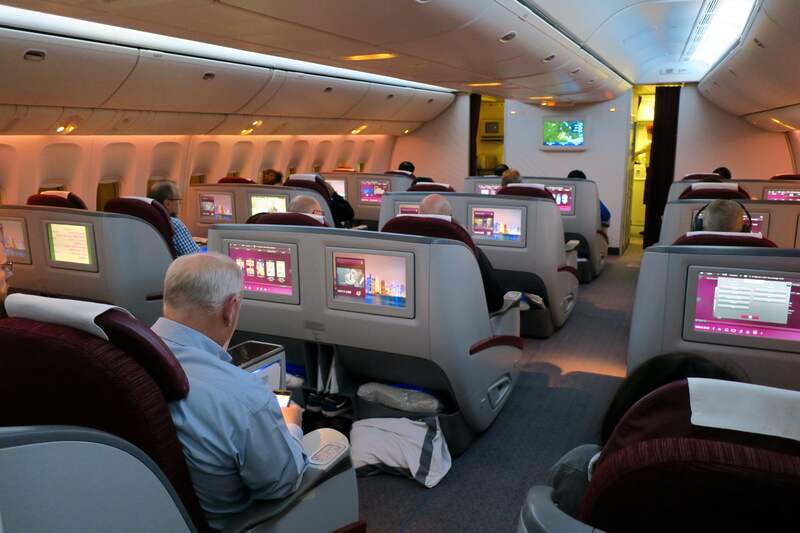 Depending on which points programs you have access to, you’ll get the best value from flying Qatar through Asia Miles, followed by an Emirates redemptions through Qantas. 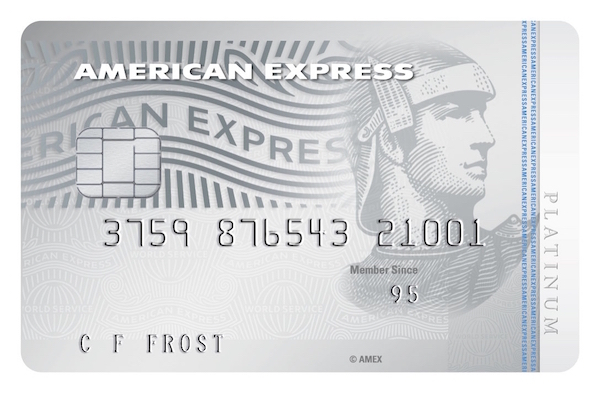 If you’re relying on American Express Membership Rewards points, a Qatar award booking though Asia Miles will win out. Good read! 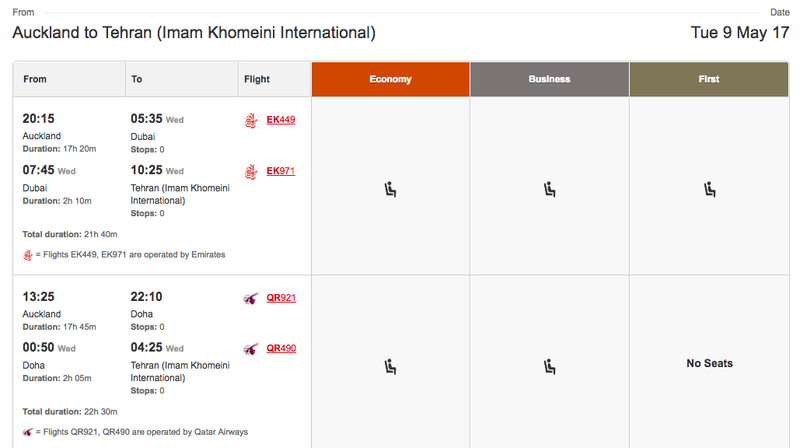 Just booked return Sydney-Tehran using my Qantas points. 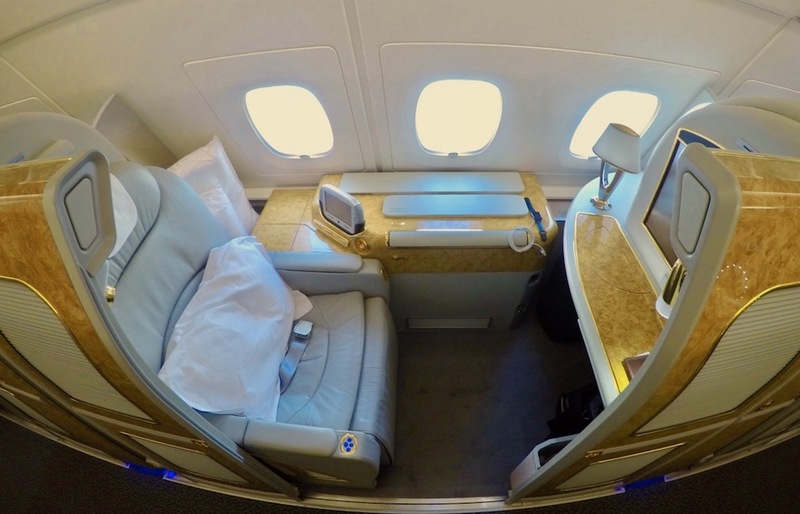 144000 points Economy day flight from Sydney and return night flight in Business. Couldn’t be happier. The Marhaba lounge is a good quality user pay lounge, offering an excellent selection of hot and cold food, a barista service and business friendly amenities such as fast wi-fi and easily accessible USB and charging ports.